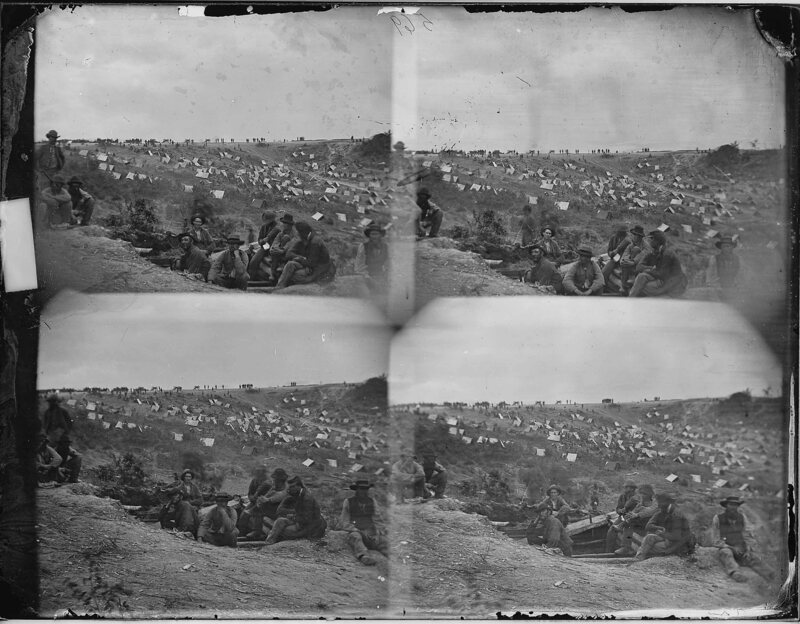 Are these Photographs Our Earliest, Closest Equivalents of “Movies” of Civil War Field Operations? The antebellum and wartime stories of Stafford County’s Belle Plain area, which in 1864 hosted at least five Union wharves along a two-mile stretch of Potomac Creek, are a source of continual research inspiration. In an article published in the July-August 2000 issue of Military Images magazine, I had the privilege of sharing the discoveries of a friend and mentor, the Belle Plain/White Oak historian and museum-director D. P. Newton. He located the modern-day camera locations of four of the photographs of Confederate prisoners who had clustered in the various “Punch Bowl” ravines near those Belle Plain wharves. Sources in D.P.’s research files, most notably the diary of Union Colonel Theodore Gates, showed that the ravines and wharves hosted more than 7,800 captive Southerners between May 13 and May 23, 1864. The plate had recently been posted online, as a digital file, in an intermittently accessible sampler of Civil War photographs in the collection of the National Archives. couple programs were are offering as part of this summer’s schedule. These first-person programs are delivered by members of the park staff, donning 19th century attire, and highlight the stories of Fredericksburg area’s wartime residents. Katie Logothetis, a veteran member of the park’s summer staff, is spending her weekends in a 19th century dress and providing dramatic presentations along Sunken Road on the Fredericksburg Battlefield. Katie’s persona for her programs is Mary Caldwell, a young woman who lived in Fredericksburg and maintained a diary, thus recording her observations and personal thoughts. Mary’s diary recently came to light and is currently being edited with an eye toward possible publication. The setting for visitors encountering “Mary” is 1866 and she is walking along Sunken Road on her way home. As she engages the public, she reminds them that before Fredericksburg became a battlefield it was a home for its residents, a home nearly destroyed by war. Katie conveys the experiences of those left to the mercy of the opposing armies during the summer 1862 occupation, the bombardment and battle of December 1862, and the resultant destruction. These experiences draw primarily from Mary Caldwell’s writings, but are supplemented by surviving accounts penned by several other Fredericksburg female residents – Lizzie Alsop, Betty Maury, Jane Beale, Fanny Bernard, Mamie Wells, and Fanny White. These personal stories have been combined to create a story that presents the broad aspect of Fredericksburg female refugees, as presented through Katie’s character of Mary Caldwell. Katie, as Mary Caldwell, can be found on weekends this summer along Sunken Road. Check out this little bit of photographic forensic work by our friend John Cummings over at Spotsylvania Civil War Blog, as he explores whether or not the recent photo tentatively identified as the “Widow Alsop” is in fact her. I don’t know if Laurence Fishburne Ray Langston would be impressed, but we are. For some posts on the famous images of Confederate dead taken at Widow Alsops, click here and here. On a slightly different note, the park staff is heading into vacation season, and so posts will become a little less frequent here for the next many weeks. Both Noel and Eric have posts in the works for next week. Perhaps it was due to the park staff feeling that the Chancellorsville Living History Camp had run its course, or perhaps it was the budgetary concern about funding 4-5 summer positions focused on one location and one program, but 1977 was the camp’s final season. The park did not cancel living history altogether, it simply spread the program around to the other battlefields and sites. Beginning the summer of 1978, the living history stations were located at Prospect Hill on the Fredericksburg Battlefield, the former camp at Chancellorsville, the newly acquired and opened Chatham, and the Bloody Angle at Spotsylvania Court House Battlefield. With the exception of Spotsylvania, little site preparation was needed for the programs. At Spotsylvania, the park rehabilitated the 1930s reconstructed earthworks behind the Bloody Angle to provide a setting for the living history station at that site (see previous post about these earthworks here). Over the next few years, the investment in the living history program was reduced, so that by 1983 only the Chatham and Chancellorsville stations were staffed with summer employees in Civil War attire. 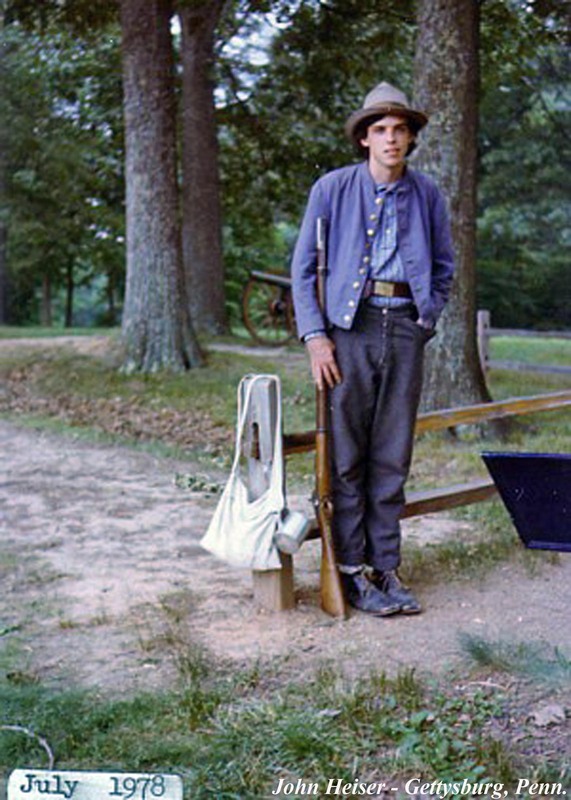 The park continued to use staff in living history roles to supplement the other park summer programs through the early 1990s, by which point the programs had been reduced even more, to one lone Confederate soldier stationed at Chancellorsville on weekends, when staffing levels permitted. Our friend Doug Harvey, the director of the Museum System in Lynchburg, passed along today a “new” image of Robert E. Lee from their collection, and we publish it here for the first time in the US (we think). As far as the folks down there (and at the VHS and the Lee Chapel) can tell, this CDV has only been seen publicly once–on a website from Peru without provenance (there must be a story in that, but it’s beyond our reach). The image dates, apparently, to a postwar visit made by Lee to Lynchburg for an Episcopal Conference (Lee was in Fredericksburg for the same conference in 1869)–it has a Lynchburg backmark. But little else is known. We have some pretty knowledgeable readers out there, and so Doug asked me to put it out for comment and feedback, which we are happy to do. Anyone have thoughts, ideas, or knowledge that might help? 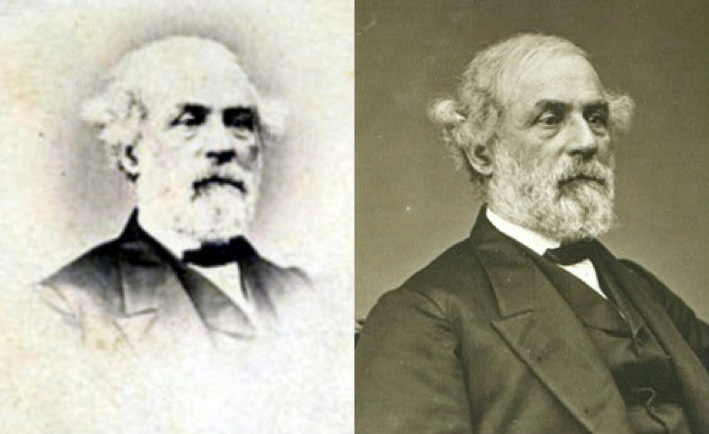 This photograph, in vignette form, is from an almost imperceptible variant of an otherwise well known and widely published image of Lee and appears to have been copied by the Lynchburg photographer, possibly to cash in on Lee’s attendance at the Episcopal Conference in 1869. Though clearly taken at the same sitting, the angle is slightly different. 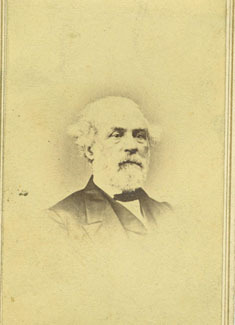 I have this image (in cabinet card format) with the photographer being “Howell, 867 Broadway.” We know that Lee did get his photograph taken by William Roe Howell in New York City, we know that Howell went out on his own in 1867 (before that he had a partner), and so this designation of “Howell, 867 Broadway” would suggest that this image dates from 1867 or later. 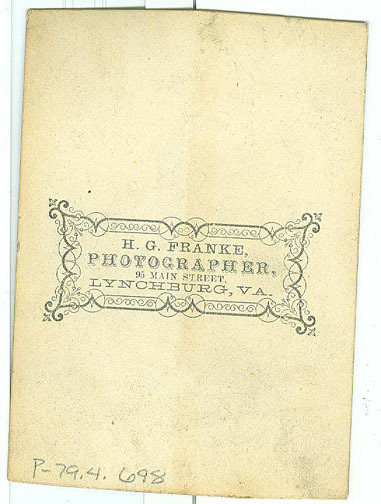 The question, of course, is whether the cdv with the Lynchburg backmark was the original, copied by Howell, or whether this image originated with Howell and was copied by the Lynchburg studio. The first post in this series on living history at Chancellorsville Battlefield can be found here. Bill Meuse, under whose direction and supervision the experimental camp was organized and run, left Fredericksburg & Spotsylvania National Military Park (FRSP) near the end of 1973. He departed to take a job at Harpers Ferry Center, which might explain why no analysis or formal review of the experimental camp can be located. Regardless, the camp was considered a success by park staff and was scheduled to reopen in 1974. The second year at the Chancellorsville living history camp was a bit different than the first. With the transfer of Bill Meuse, Jim Kirkpatrick, a summer employee and member of the camp staff, was placed in charge of the program. A whole new roster of summer employees, with the exception of Kirkpatrick, were hired and along with volunteers the camp staff numbered around a dozen members. The camp’s persona changed from representing an ordnance detachment scavenging the battlefield to that of a picket detachment camp from the 2nd North Carolina Infantry. Additionally, the camp follower impression disappeared. The camp still remained open 24 hours a day, seven days a week. 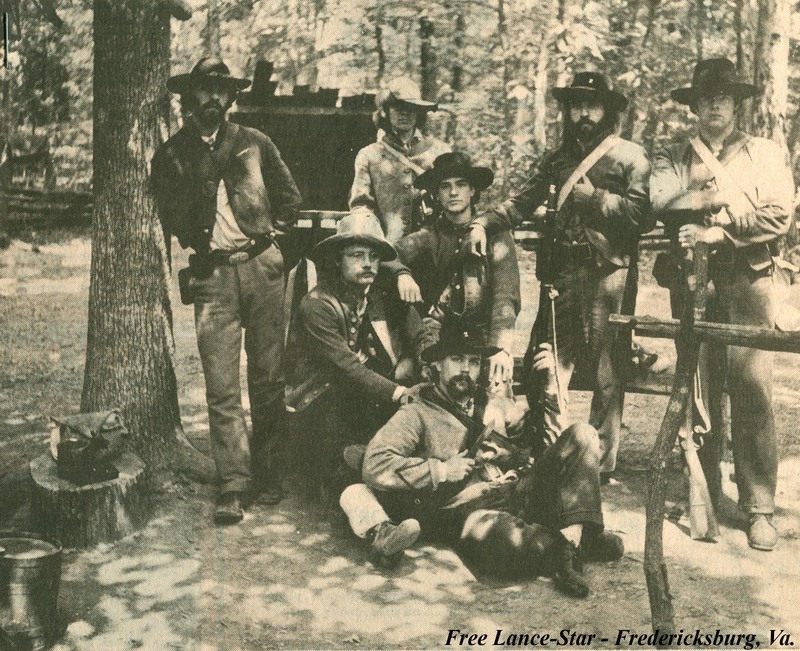 Staff of the 1974 Chancellorsville Living History Camp – Standing (L-R): Jim Kirkpatrick, Charlie Graham, Dave Jurgella, Stu Vogt. Sitting (L-R): Jim Linger, Charlie Childs. Reclining: Vance Sheffer. 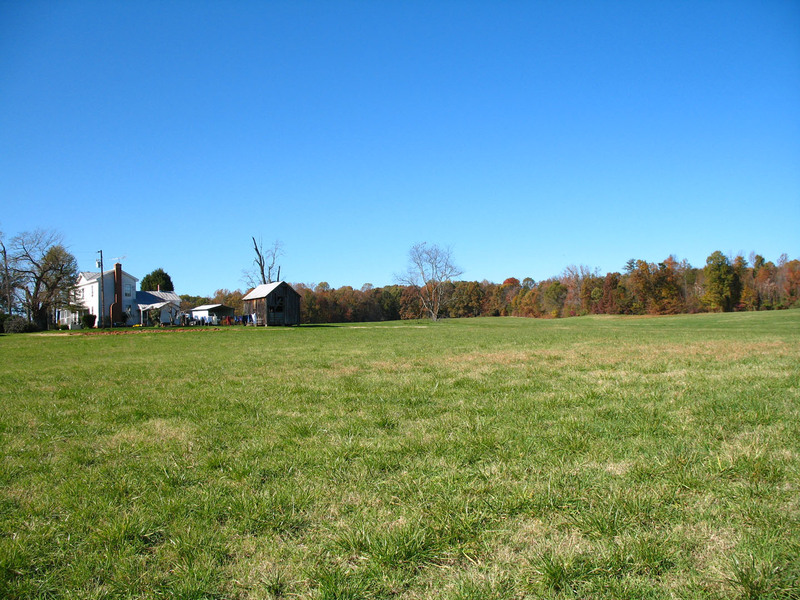 Along the trail leading to the camp, visitors might have found themselves challenged by a soldier, as a Confederate picket might have when confronted by an unknown party. Once inside the camp, the staff engaged the visitors and described Confederate camp life. “Our real satisfaction comes when we can really reach someone,” explained Dave Jurgella, “make them relax and have them view us as being real.” Local news reporter, and both friend of the park and frequent reader of this blog, Larry Evans spent a day as an “embedded” journalist with the picket detachment. 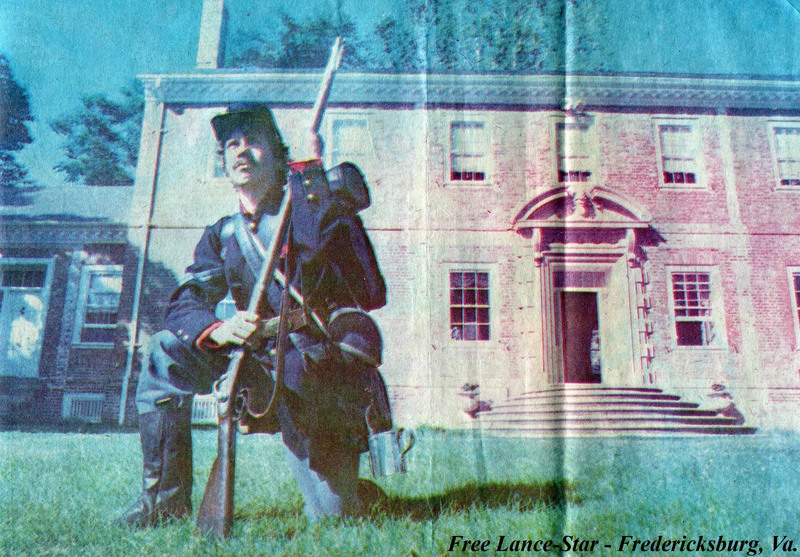 His article and report appeared in the July 22, 1974 edition of the Free Lance-Star and can be viewed here. The camp, still considered a novelty and unique interpretive tool, continued to garner press coverage and a photo spread of the program even appeared in National Geographic.